The Investment Manager for the Monitoring Team is responsible for the monitoring of cases that have been financed, with a focus on the ongoing progress of the claims, monitoring of reports and billings provided by the lawyer conducting the claims. In addition, you will review the economic impact of settlement offers and Court awards and ensure compliance with finance agreements and ATE insurance policy. Whilst monitoring of cases is ongoing from the point of deployment of funds the team are also members of Augusta’s internal investment committee. The team primarily becomes active in a matter when they perceive that the risk to Augusta has escalated. This may be due to: time taken to complete phases; cost to run increasing unreasonably; adverse change in legal merits; and/or adverse change in commercials. Regular liaison with external lawyers and/or Claimant. Member of internal investment committee which includes meeting claimant and legal team and attending committee meetings at which cases are reviewed for funding. Ongoing monitoring and management of key milestones working to keep cases on track, in accordance with Court Directions/ timetable. Anticipating any potential problems, whether legal or economic before they become an issue. Identifying and summarising key issues for discussion at regular meetings with management ensuring they are kept informed of case progress. Reviewing and approving external lawyers’ timesheets and invoices – manage and challenge, where necessary, according to agreed budgets. Ongoing monitoring and comparison of forecast costs versus actual costs. Liaising with lawyers on budget variations and seeking sign off by investment committee. Problem solve and negotiate with the claimant solicitor, the claimant and ATE insurer. Conducting economic analysis of settlement offers and providing illustrations to the lawyer and Claimant. Attend Court hearings as and when required. Reviewing all documentation relating to each case identifying and collating any key missing documentation. Cultivate and grow strong relationships with law firms balancing carefully the need to manage risk and protect Augusta’s investment, whilst delivering an experience which clients are keen to repeat. 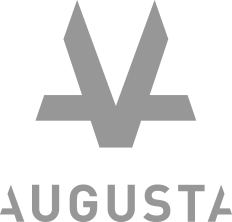 Keep up-to-date with emerging innovations/trends and competitor insight to ensure Augusta Ventures stays ahead of the game. Attend conferences with counsel, lawyers, insurers and clients as and when required. Align with a client-centric approach. Be passionate about our clients and our business. Act with discretion, integrity, respect and professionalism at all times. Commitment to professional excellence and a drive to continually grow and develop. Adaptable and resilient with the ability to work in a fast paced and dynamic environment and industry. Passionate about relationship and client development and genuine interest in the litigation funding arena. Qualified Solicitor (England & Wales or other Common Law jurisdiction) with a minimum of 10 year PQE. Strong initiative, analytical, problem solving and negotiation skills. Demonstrates well developed interpersonal skills with a track record in having forged and maintained strong relationships with colleagues, clients and external suppliers. Highly effective communication skills, (both oral and written) influencing and negotiation skills. Strong commercial and financial analytical skills with the ability to interpret data, generate insights and construct solutions. Sound commercial judgment and decision-making skills. Familiarity with software such as Microsoft Office. Manages and prioritises multi-level priorities according to tight timeframes.